Traditional Renaissance families consisted of a married couple and numerous children. Most people married to have children. The father worked, and the mother stayed home with the children. The husband had legal control over his wife. 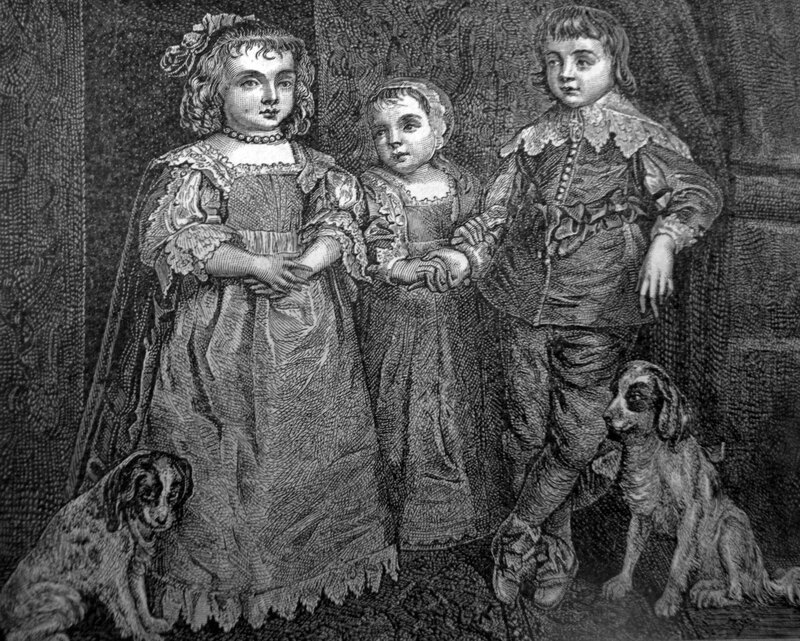 At the time it was common for some women to have between 10 and 15 children. Unfortunately, only one or two of these would live into adulthood. During their free time married couples enjoyed playing games, and playing music. All women wove, and it was common for a small loom to be found on an outside terrace. Children's past times included playing ball games, playing dolls, rolling hoops, playing with the dog, and playing with wooden horses. Older children spent most of their free time focusing on their studies. Most of the homes during the Renaissance were sparsely furnished. The average home during this time period was usually small with only two bedrooms. The ceilings were low. A family of four usually slept in the same bed. These small homes were cold in the winter and hot in the summer. Food was largely cooked in the fireplace, except during the hottest months. They also depended on the fireplace to warm the cottage. Renaissance merchants, bankers, and shippers lived better than anyone had ever lived before them. Their homes became showplaces where they could display their financial success. It was not uncommon for these homes to be 3 and 4 stories high. For safety, in order to prevent unwanted intruders, their front doors were made out of heavy planks that were attached to iron hinges. The rooms were large divided by partitions, and there were no hallways. Privacy was hard to find. It was not unusual for the upper classes to entertain in the master bedroom. The bedrooms often contained a large four-poster bed with curtains. Also common, was a great room which contained the kitchen, dining room, and living room. Most of the floors were covered in tile. At the same time, glass windows were becoming more and more common, but still very expensive. The typical family ate two meals a day. They each had two pairs of shoes and two sets of clothing that they wore. The first meal was at 10a.m., and the second was at 5 p.m. Almost no one drank water by itself. Instead they drank red wine, beer, or cider. Eggs, cheese, and dark bread were what most people ate throughout Europe. Some poor survived on almost nothing but bread. The lower classes ate more vegetables because they could not afford meat. Eating for the upper classes could be quite a spectacle. Some of the more popular meals included, baked pheasant, roast porpoise, baked herring, peacock served with the feathers, and roast swan. They also enjoyed such ordinary foods as chicken, pig, and candied fruits. Meals could last for hours, and they were normally 3 courses. However, it wasn't uncommon for each course to have 10 or 15 dishes. It was also not uncommon for the meals to be accompanied by live music. Occasionally, jugglers, acrobats, jesters, or dwarfs would entertain. It was also popular among the wealthiest people to entertain guests with live theater. The wealthy were concerned about style and the styles changes quickly. Wearing the latest styles became the way that they rich displayed their place in society. Taking baths in Italy was no longer popular because after the Black Plague the medical community believed that disease could be spread by taking baths. The rich responded by changing their cloths often, and by pouring dry powder over their bodies.